With this Tutorial, you can create android apps free which you call native apps for blogs or websites.Creating Android Apps is now very easy. No coding or nothing is required, just what we need is a usable brain with some knowledge of clicking mouse and typing on keyboards. We will do it with an online Web 2.0 app and which is absolutely free to use. What we will be doing to create android apps free for your blog is to use a Android App Generator or say, Android App Builder which allows you create android apps free and it gives you some awesome features for your upcoming app. There a lot of sites which allow you to do so, one of them is is Google’s App Inventor, which requires android development kit and coding skills, but there are also sites which allows you to create android apps free by scratch. You just need to manipulate the options and you are done. So, lets get started with the Android App Generators. 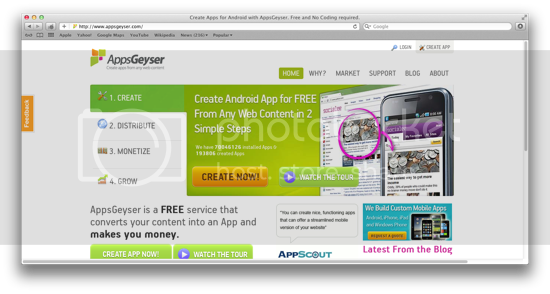 Using these sites, you can create android apps free online without going into deep coding work or something like that. This is the easiest way to create native blog apps for your websites and blogs, which ultimately helps you get more coverage from other streams too. Lets jump straight to the list. 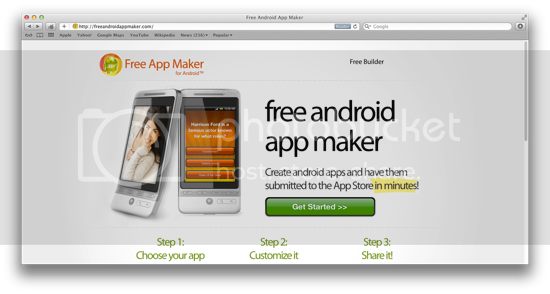 This is my favorite site for creating android apps for free from scratch. 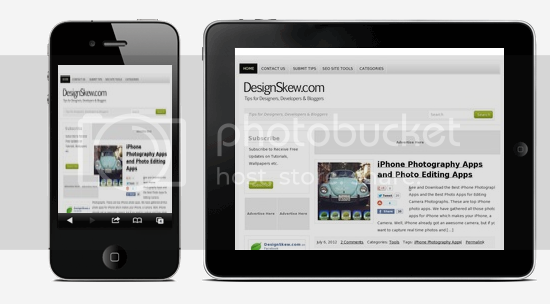 Gives you advanced options and ability to tweak into your android app, and this site also allows you to monetize your app. 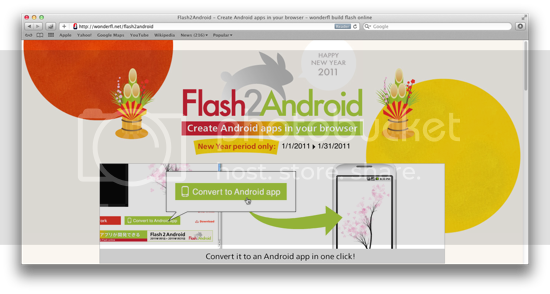 If your site is running on Flash, most blogs running on Wix will need this site to convert Flash to Native android App, which you can customize further. You can start with choosing a template, add your content like text and pictures and then submit for review, create, and then submit your application to the android app store.